Here we list all the perks for the fun co-op mode of COD: Advanced Warfare Reckoning. 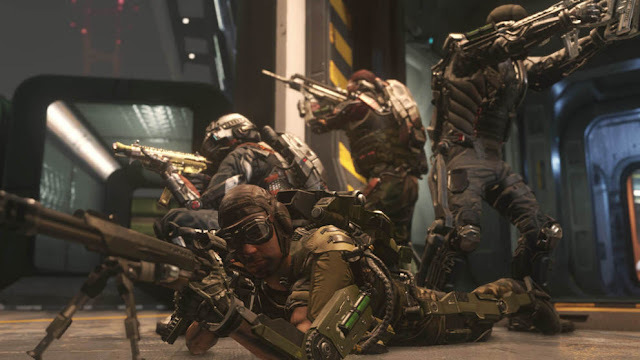 Call of Duty - Advanced Warfare contains many game modes, including the so-called exo Survival Mode where a team of players wave after wave of computer-controlled enemies. Under Perks refer in Call of Duty - Advanced Warfare special bonuses that will improve your character as a whole. Therefore, the perk selection is essential for the gameplay of your chosen character. In Exo Survival mode you have initially no perks but by drop supplies you can look to earn some. Especially popular here is the perk "Weapons Free" because it's restrictive arms removes limitations of your characters. The following perks are all players in a round Exo Survival in Call of Duty - Advanced Warfare, if they are contained in the respective supply packages. Proper selection of perks can thus make the difference between victory and defeat in an exo-Survival-round. Flack Jacket Reduces the damage of grenades and prevents the character of explosions is slowed. Throw back grenades resets the timer. Danger Close Increases the damage from explosions and from Scorestreaks. Gung-Ho Your also can still fire from the hip, if you sprint or slips. Weapons Free You can use all weapons, regardless of the class you have chosen. Fast Hands You can reload while sprinting and quickly switch weapons, use skills and fire the Exo Launcher. Toughness Reduces recoil, the character suffers a Met, so that he can shoot faster. Overcharged Your batteries for Exo-skills last longer and you can stun opponents by Boost Slam.